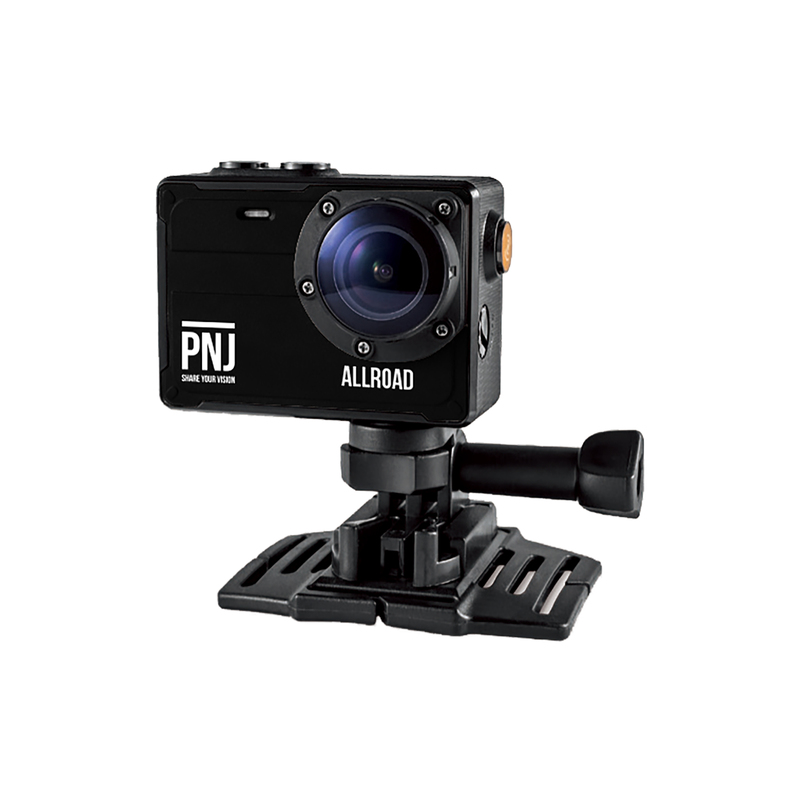 The Allroad cam allows you to record all your sports exploits in Full HD or even in 4K. The memories will remain engraved in your memory but the easiest way to share your emotions with your friends and family is to record them ! 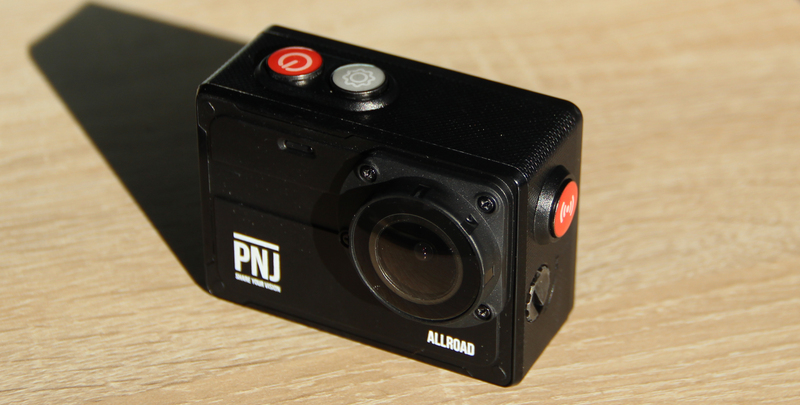 Diving, cycling, surfing, climbing, hiking, the Allroad cam is also suitable for family selfies. Everyone will be happy ! 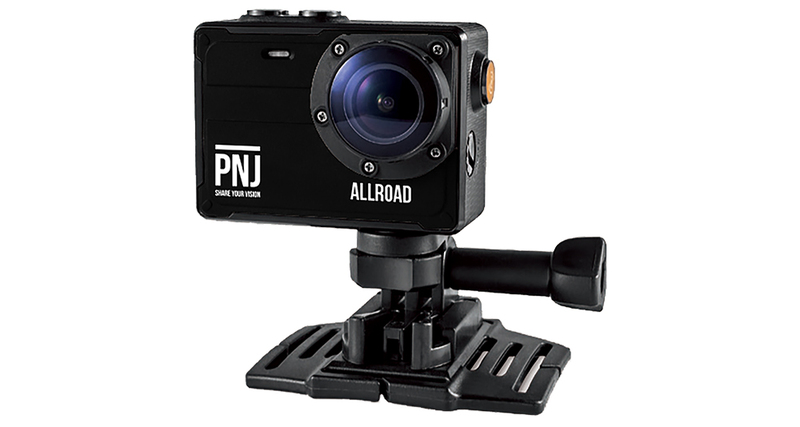 The Allroad cam allows you to make recordings at the height of the good times you live. Your action cam allows you to shoot in Full HD or 4K in oreder to record all the good times with accuracy. The Full HD resolution is perfect for outdoor shooting because it allows accurate color and brightness re-transmission while also offering a recording speed of 60 frames per second (it’s twice as many frames as in a movie theater) that will allow you to record the movements with precision and fluidity. 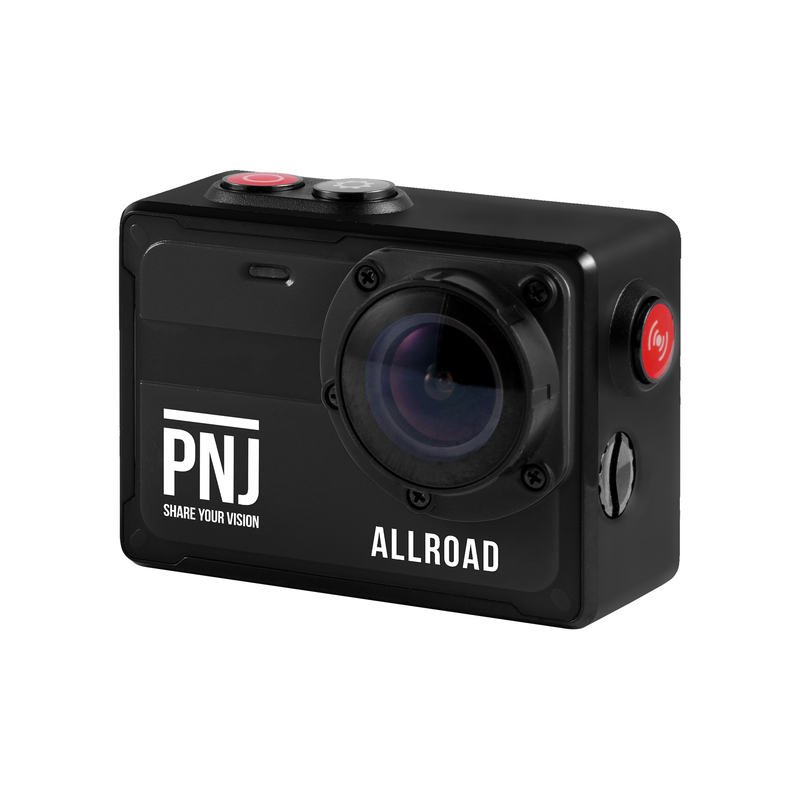 The 4K is obtained via software processing which explains how affordable the Allroad is compared to other 4K cams while still offering a breathtaking image quality. 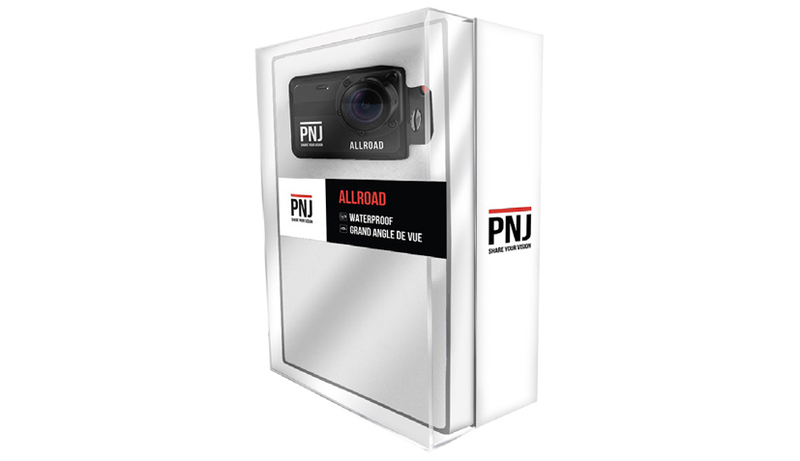 If you’re looking for a compact yet resistant sports camera, the Allroad will be perfect for you. Designed with a silicone shell, it can withstand splashes and can even be completely put under water ! So you can shoot or take pictures under water up to 5m deep without using a waterproof case. Thanks to its design, waterproofness and the many accessories included in the pack, the Allroad is designed to come along with you everywhere while remaining practical. You will receive a full range of accessories such as adhesive fasteners to place your camera on a surface (board, dashboard, etc. ), a helmet mount, a handlebar mount, extensions that allow you to hold your camera vertically or horizontally (convenient if you attach your Allroad to a handlebar or a chest harness (not included)). Beyond these accessories, your camera will be supplied with essential elements such as a charging cable and a user manual. The burst mode allows you to make a large number of pictures in a short time. The Allroad lets you choose the number of photos: 3, 5 or 10 in 1 second. It’s a perfect way to isolate the right moment in a moving scene. The timelapse mode always makes an impression by allowing you to make accelerated videos. The operation of this mode is simple: your camera captures an image at regular intervals and then assembles the frames together to form a video. You can also slow down with the 1080p60ips “slow motion” mode. In addition, you have a wide angle of 130°, which allows your camera to better focus on the objects to produce quality photos and sharper videos. You can also choose the width of your field to realize panoramic, wide or normal shots. You can also activate the digital stabilization option of your camera. Thus, the camera will process your video after recording to make it sharper. Lastly, the Allroad is designed for action ! So it takes a number of settings that will help you get the best out of the scene you want to immortalize. Thus, in a few clicks you can apply a black and white filter, Sepia, Hot, Cold or Negative. No need to lose yourself in the settings of your camera to make manual adjustments. 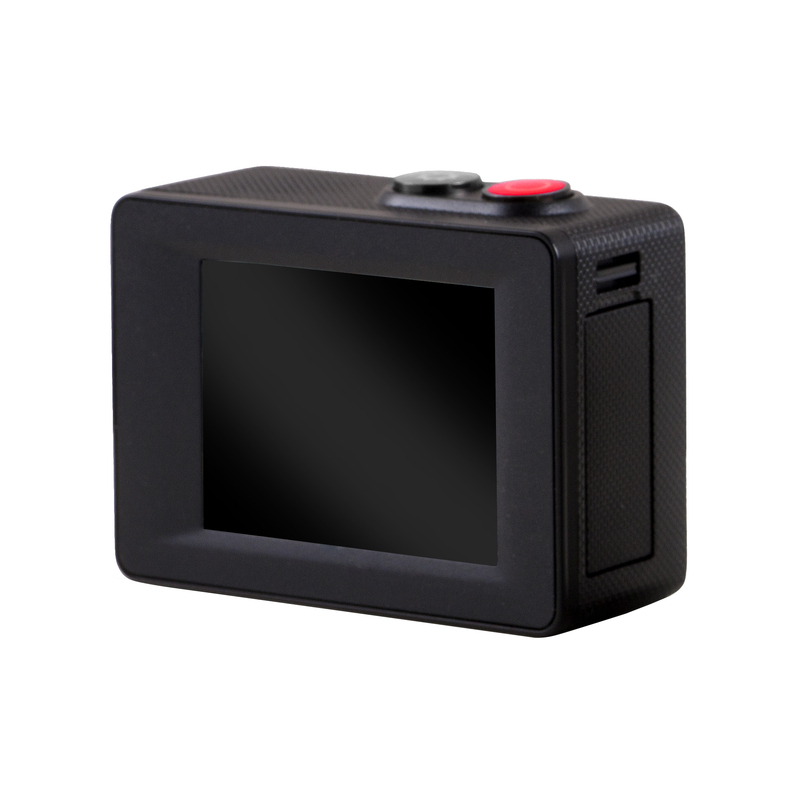 Unfortunately, the Allroad camera was designed to be waterproof without a case, so we do not offer a compatible waterproof case. For aquatic activities that require descending more than 5m deep, we would recommend that you look for models with watertight cases up to 30 or even 100m.